Duplex Stainless Steel EN 1.4462 has a corrosion resistance superior to A5 and is classified as Corrosion Class IV/Strong. Duplex belongs to the group of stainless steel and acid resistant steels and is divided into five groups from lean duplex to hyper duplex. A characteristic of duplex steels is the balanced austenitic-ferritic two-phase structure (ratio 50:50), where the positive properties of ferrites and austenites are combined. Duplex steels have high strength – comparable to higher strength structural steels. 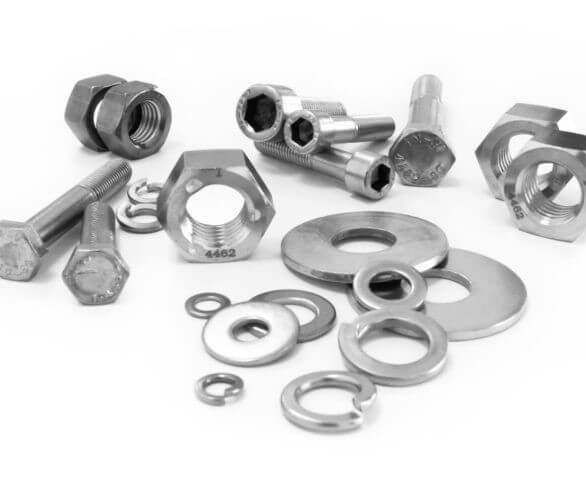 Duplex fasteners have properties that are extremely useful in applications across a wide range of industries, eg food, construction (including tunnels and bridges), paper, oil and gas, petrochemical, marine technology (onshore, offshore and shipbuilding), mechanical and plant engineering, power plant technology, cooling towers, swimming pools and pool construction.